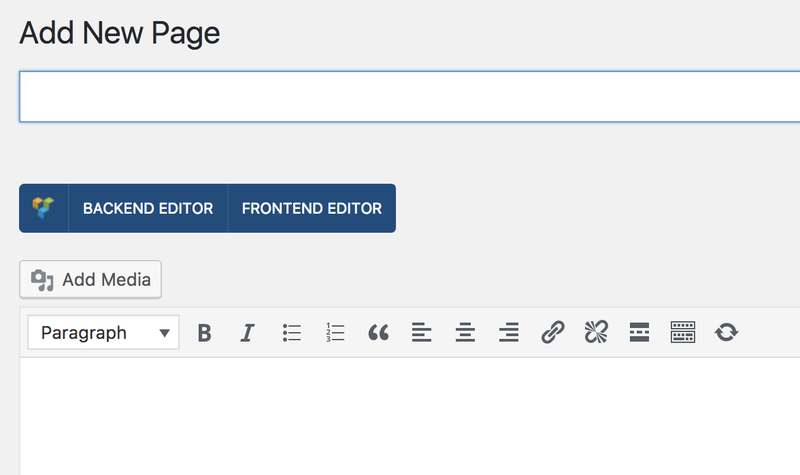 When you create a blank page and use Visual Composer frontend to edit it there's a JS error when you click on "Add text block". Consequently the button doesn't work. Please, have a look at the screen recording below [animated gif]. I'm working on a local site using Flywheel Local. All other plugins are deactivated. Thanks for writing in. Visual Composer's Front-end editor is not supported in X. X used Visual Composer's backend editor as its only page builder in the past but now it has its own page builder, Cornerstone. Please use Cornerstone instead. Visit our Knowledge Base for usage instructions. I've seen this kind of answer here before and I think this is not the way to go regarding customer support. Consider that if a costumer is here posting an issue it means that she already bought a license. There's a big chance this person made a decision based on the X Theme website highlights and details regarding the theme. The information that "Visual Composer's Front-end editor is not supported in X" is nowhere to be found on the site [nor on the Visual Composer extension page] and your statement is a surprise to me. "Over 20 Extensions (plugins) created by Themeco and 3rd parties to work seamlessly with X." 2nd) If is not fully supported, why do you provide it in first place? 3rd) And if you provide VC but its frontend is not supported, why is it accessible from the editing screen? 4th) And last but not least, if Themeco is pushing users to use its own page builder, why do you keep packing Visual Composer with X Theme? BTW: There's nothing at the Knowledge Base page or at the Extension - Visual Composer page stating that Visual Composer's Front-end editor is not supported in X. 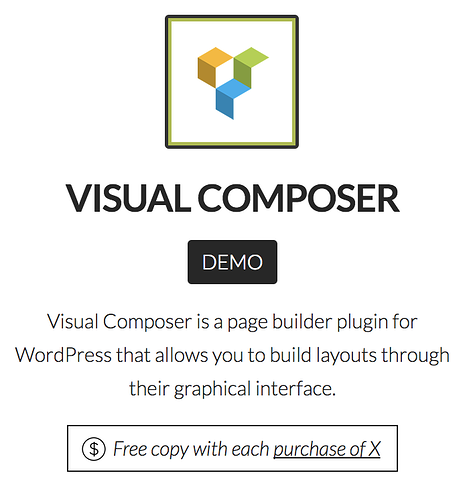 In the early days of X theme, it's the main builder is the visual composer. X replaced some of the visual composers and disabled some of its features (that includes front-end editor). In X, it was strictly for backend editor only and X Shortcodes (which is now part of cornerstone). Hence, if you use X and Visual Composer, then you can only use what's provided along with the theme. Then when cornerstone became available, we added a feature in visual composer where the user can disable X integration and another option to enable front-end editor. But it doesn't mean visual composer will have integration and updates for new cornerstone features and new elements. So basically, visual composer is only integrated to old features and elements provided in X shortcodes. We provided those options so the user could disable that integration and use visual composer independently and as a stand-alone builder. And just a bundled plugin. Man... you're going round in circles. Regardless of how Cornerstone evolved or if VC frontend editor is not supposed to work with X Theme, it is still there [image below]. 1- That's confusing for users. 2- There's nothing mentioning that you're not supposed to use it on X Theme's site. 3- There's nothing mentioning that you're not supposed to use it on the editor's page. It's like a guest asking you about the half-dead person lying on your living room floor and you just answer "oh, don't pay attention to it, we don't support him anymore". I used VC in other projects before so that's my background. When I found X Theme and read [on the site] that it comes with a Visual Composer license I thought that everything I knew about VC + everything I read about X Theme would be a perfect combination. Little I knew about this little "exceptions". You guys should be more transparent about that stuff. I just also explained that you can fully use Visual Composer with no X or Cornerstone intervention by toggling off the X integration within VC's setting. We also released a new version for VC through automatic updates and you may install it, but there is no guarantee that this specific issue is patched. I checked the issue tracker and this issue is still there (not yet marked as bug).